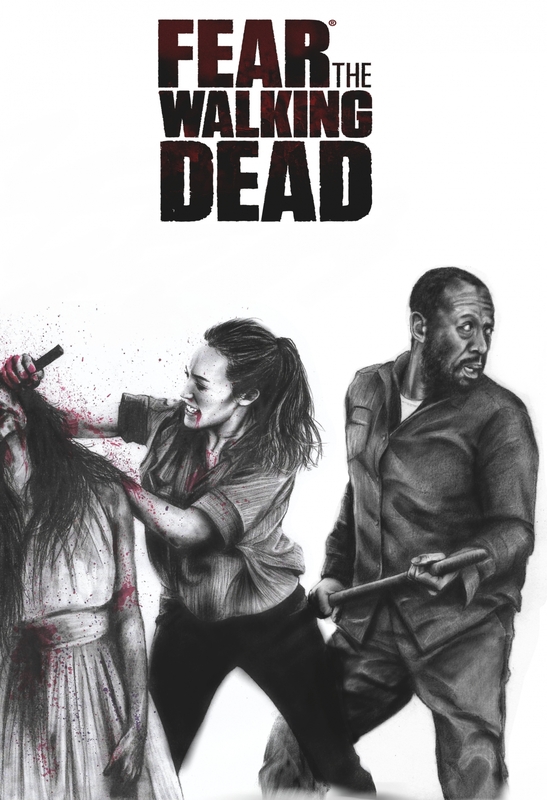 Fear the Walking Dead season 4 promo poster. Alicia Clark and Morgan Jones. Mixed media; graphite and digital drawing.